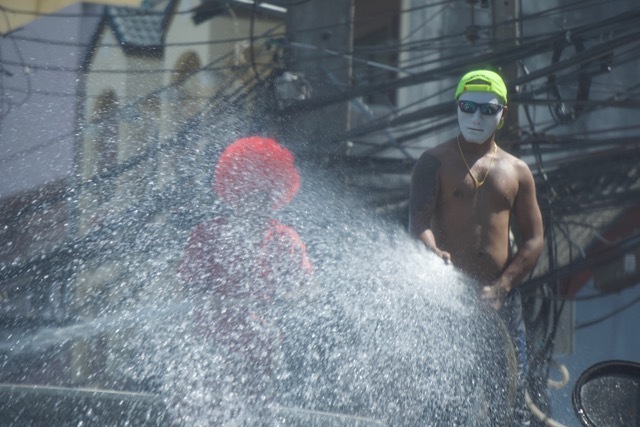 Yesterday was Songkran, which is the Thai New Year, and we have decided that it is our new favorite holiday. 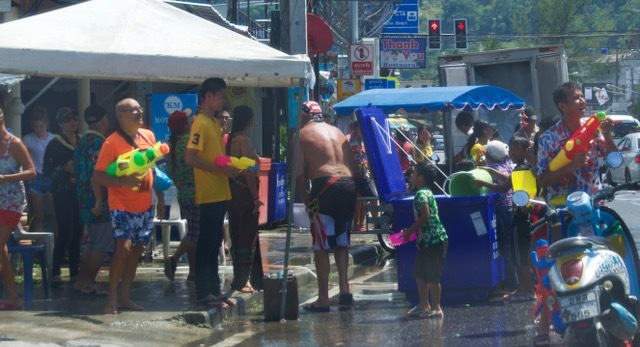 On this day, everyone in Thailand spends the day in a huge water fight, and it was epic! 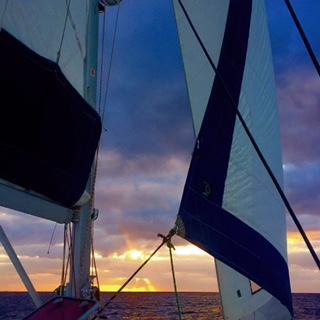 My morning began just as all my mornings do – with an hour bike ride beginning at 6am. 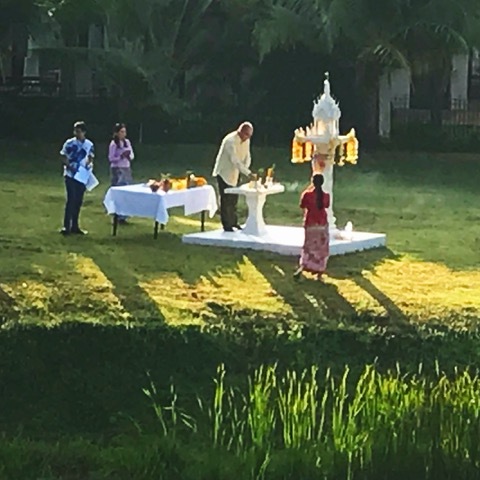 When I returned I looked out across the back yard and noticed this beautiful scene…prayer and offerings made in a picturesque setting. 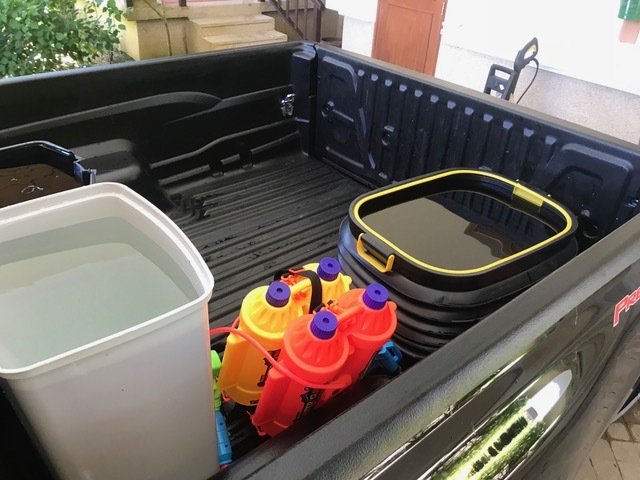 Everyone in the house was still asleep so I got the pickup ready for the days adventures: 3 big tubs filled with water and water guns! 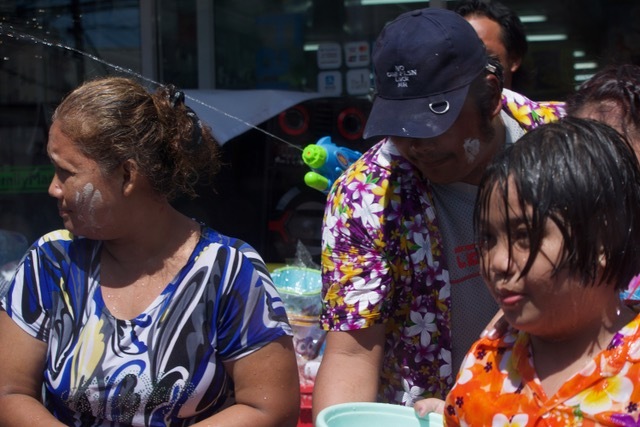 When everyone was ready, we set out to see just what Songkran was all about. 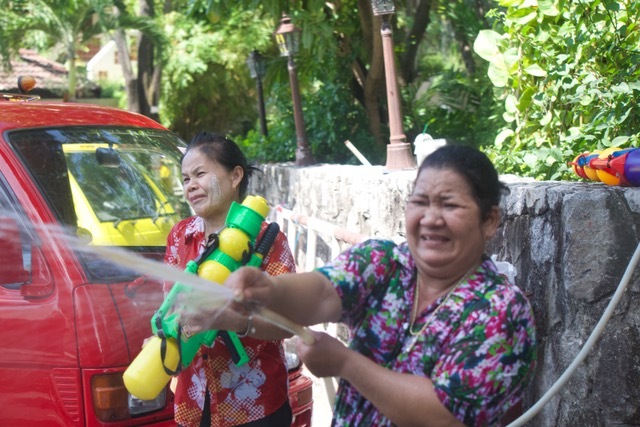 The celebration of is one that embraces goodwill, love, compassion, and thankfulness, using water as the means of expression. 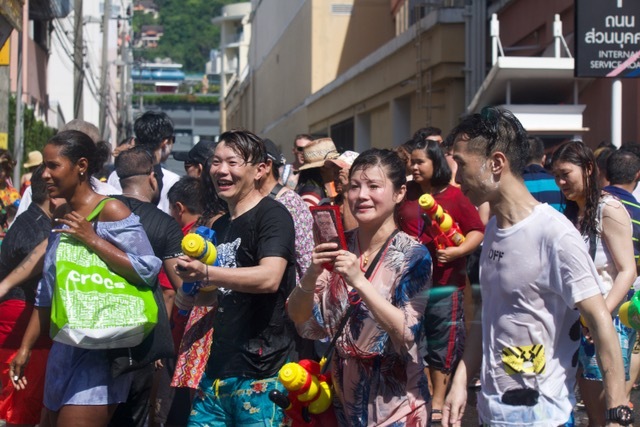 The word Songkran is from Sanskrit, meaning to move or step forward. 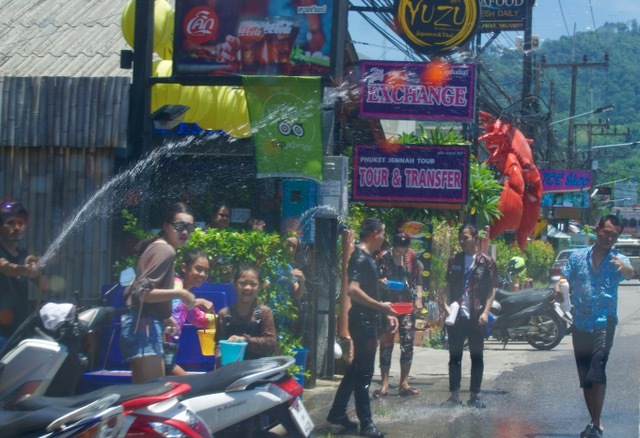 The first day of Songkran takes place when the sun moves from Pisces into Aries, which marks the New Year’s Day according to the Buddhist calendar. 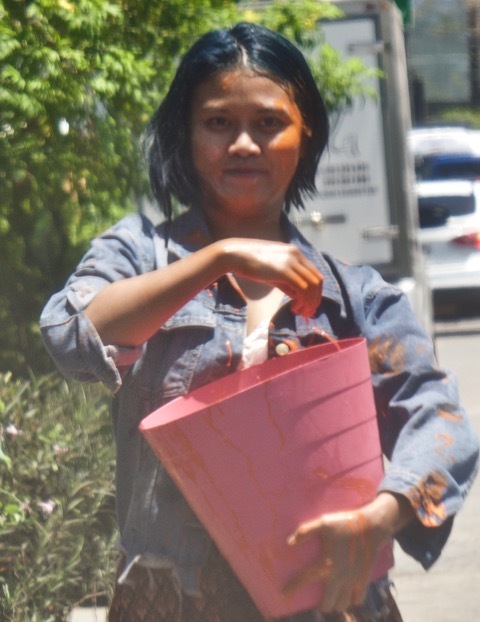 It didn’t take long for us to find the chaos…people lined the streets with buckets of colored baby powder paste which they smeared on each others faces. 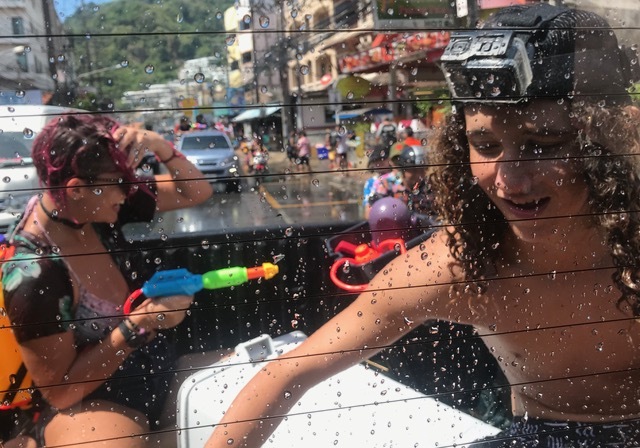 As we approached they’d signal for us to slow down so they could have a water fight with Aidan and Emma in the back of the truck. 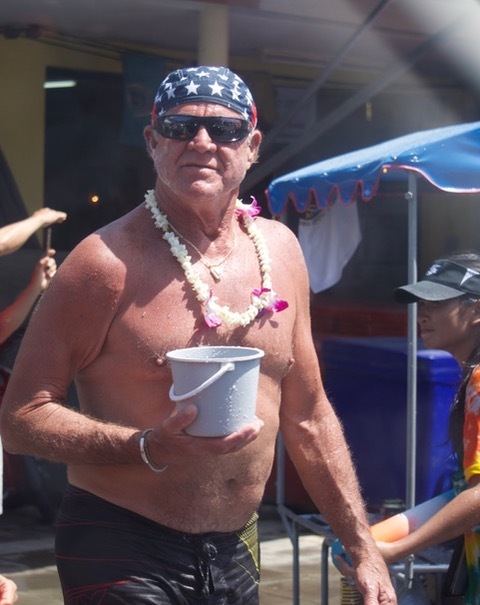 Some groups filled their tubs with ice and water, and it was during those dumpings that I’d hear Aidan squeal as ice cold water ran down his back. Emma got thoroughly smeared in baby powder paste at one point. From the beginning of our adventure to the very end, the twins were completely drenched. 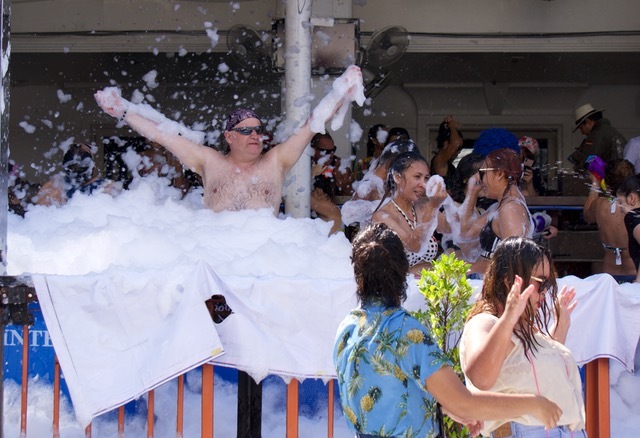 I love this photo, showing the older lady in the back, laughing hard at the scene before her, as others dumped and sprayed us as we passed by. She was just about to be hit with water from the creatures guns. 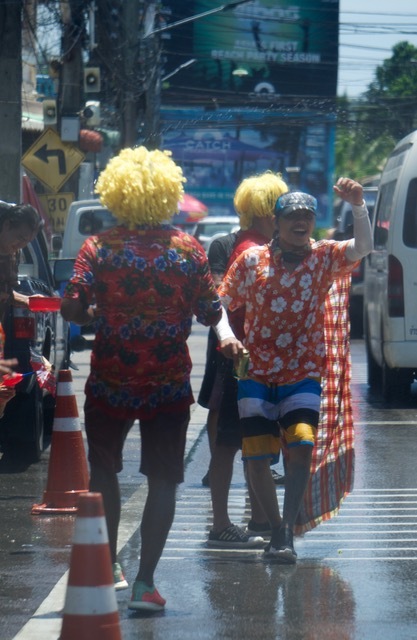 We loved the energy and happiness which was everywhere. We also loved the craziness and spontineity in the air. We are so glad that we were able to take part in this amazing celebration. Next year we hope more of the creatures can be with us – and of course, any of you who’d like to join! You’re guaranteed to have a blast and a half!! !